Johnnie Fincher was born in Mobile and moved to Fairfield after serving in the Navy during WW2. 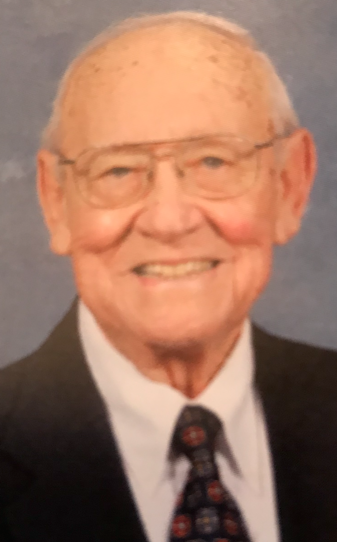 He moved to Scottsboro in 1972 and served as pastor of several churches in that area, the last being Associate Pastor at Calvary Baptist. He was preceded in death by wife of 67 years, Frances. Also preceded by parents, 3 brothers, and 2 sisters. Survived by daughter, Jeanette Rogers (Doug), granddaughter, Bethany Gwin (Jason), grandson, Jay Rogers (Becky), and great grandchildren, Reese, Reagan, and Kara Gwin; Abby and Barrett Rogers. Also survived by two sisters and two brothers. Visitation at 12:30-2 and service at 2 on Saturday, July 21 at Currie-Jefferson Funeral Home in Hoover. In lieu of flowers, donations may be sent to Calvary Baptist Church, 305 County Park Road, Scottsboro, AL 35768.